Meghan Markle has rocked her pregnancy in ways that many can never imagine. She has seemingly defied doctor’s orders and wore high heels even in her months of pregnancy. The Duchess of Sussex, due in April, has adopted an approach to maternity dressing that’s true to her personality – and incredibly polished, just like her sister in law, Kate Middleton. We deliver some of her iconic fashion moments. Markle, wearing custom Givenchy, made a surprise appearance at the British Fashion Council’s annual Fashion Awards to present the house’s designer, Clare Waight Keller, with her award. 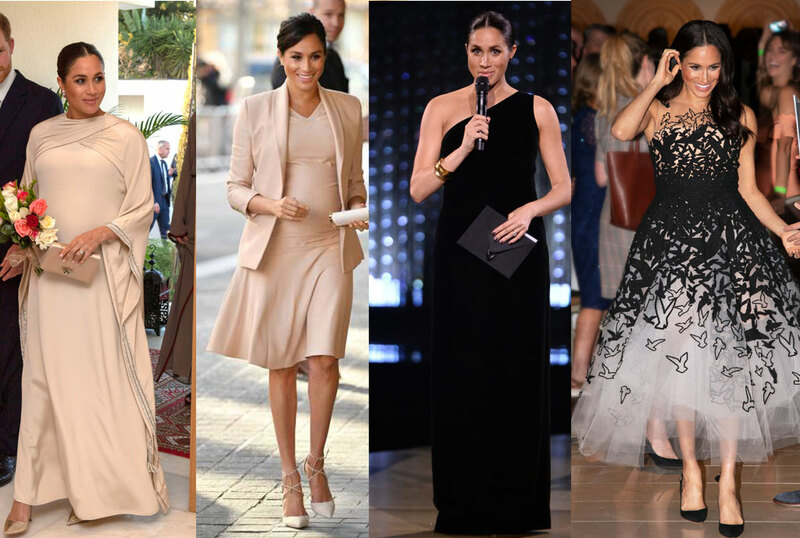 Markle continued to provide some great maternity fashion inspiration with the high-neck high-low gown Markle wore to a reception hosted by the prime minister of New Zealand. Markle stole the show Australian Geographic Society Awards, where she arrived in a tulle gown by Oscar de la Renta. Markle’s dress was hand-sewn. 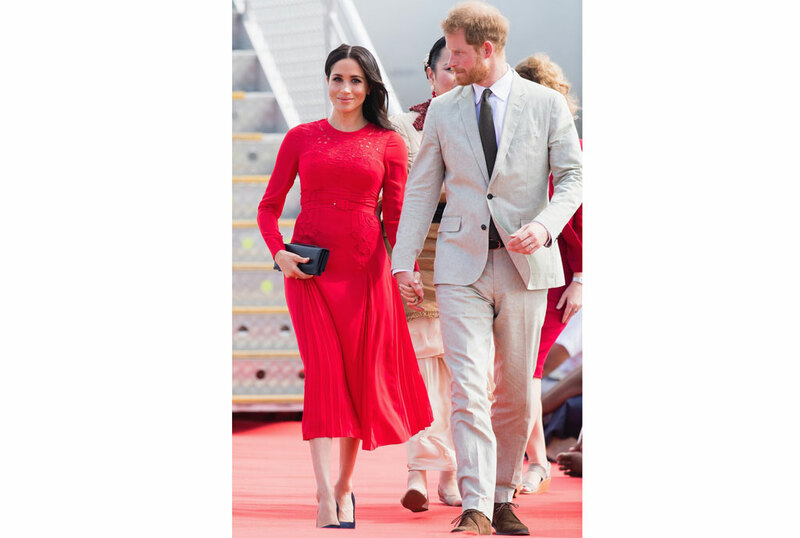 In Tonga, Markle stepped off the plane in a red Self-Portrait dress that showed off her growing baby bump. The Duchess’s dress was a nod to her host country, the red fabric meant to resemble the color of Tonga’s flag. The Duchess of Sussex arrived for an engagement at a London nursing home wearing a longline coat. Meghan Markle loves Blush pink so she was bound to include it in a maternity look eventually. Markle wore a bespoke Dior gown to an elegant evening reception in Morocco.